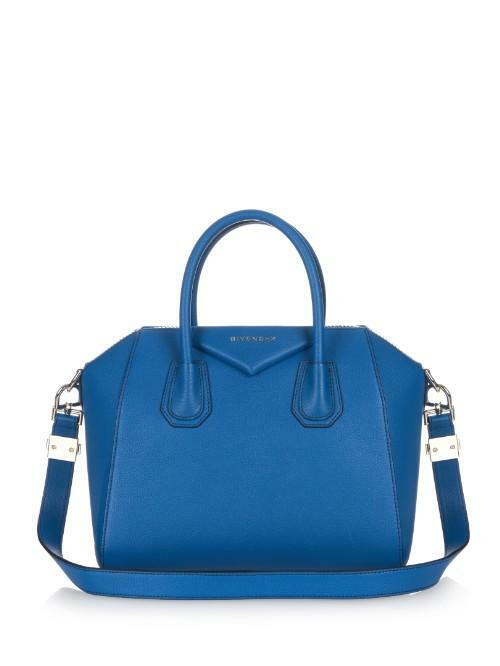 Givenchy's Antigona bag is a compact yet capacious style crafted in Italy from black grained leather and has two rolled top handles and a detachable strap for a hands-free carry. The logo appears in silver-tone metal on the signature padded-leather triangle patch at the front and the black canvas lining is complete with one zip pocket and two slip pockets. Wear yours over the shoulder of a black blazer for daytime polish.